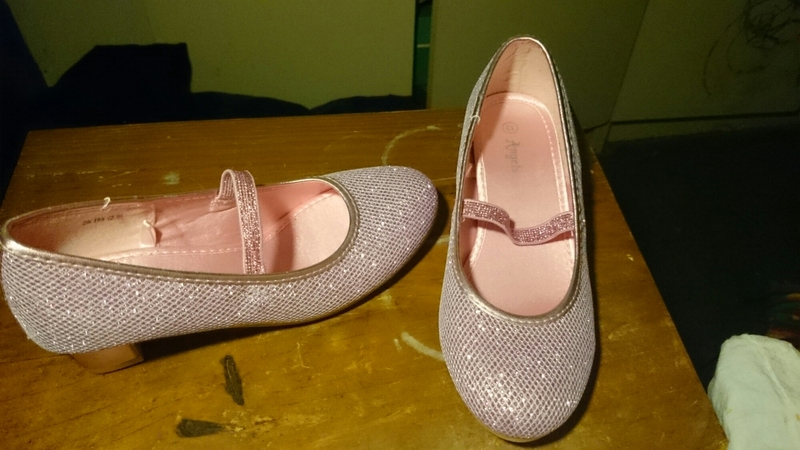 These gorgeous new sparkley shoes are not mine but Sophie-Pi’s. She chose them herself. They have a heel as well as more glitter then is usually allowed in the vicinity of Dada. Sophie is so pleased with them I doubt they will be removed today even in bed. It was with some reservation I viewed her choice of footware. Sophie,’ Yes it’s fine, look (she demonstrates to the whole store) I can dance in them’. Thus spake my daughter, I am so proud. She knows instinctively, the most important thing about new shoes is not that you can run in them as Dada believes but that you can dance in them.